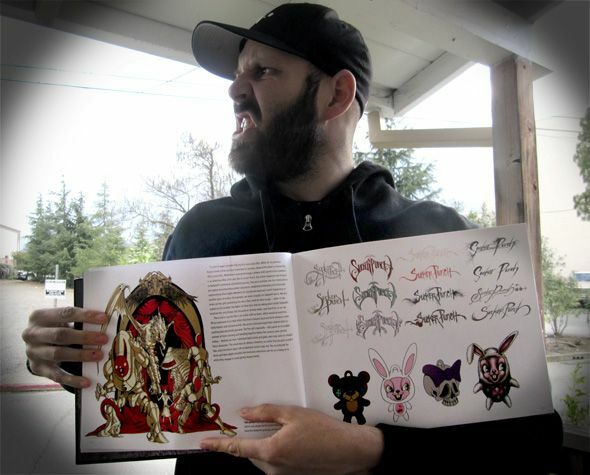 ALEX PARDEE'S LAND OF CONFUSION: "THE ART OF SUCKER PUNCH" Now AVAILABLE! 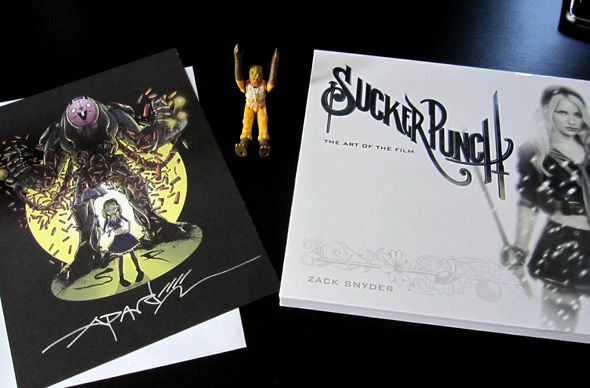 THE "ART OF SUCKER PUNCH" BOOK FROM TITAN BOOKS & ZACK SNYDER IS NOW AVAILABLE!!!!! In case you didn't know, I was lucky enough to play a small creative roll amongst a team of amazing artists and creative folk involved in making director Zack Snyder's new film, "SUCKER PUNCH". Well, if you have ever seen any of Zack's other movies (300, Watchmen), you know that he LOVES the visual art aspects of filmmaking and manages to mash SO much amazing art and magic into his films that at times it's almost TOO MUCH Beauty for our little eyes to handle. Well, his new film "Sucker Punch" which comes out March 25th, is no exception. 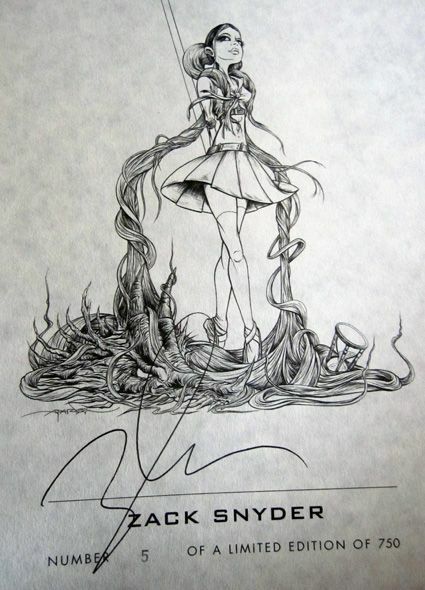 Getting the chance to work alongside Zack Snyder, production designer RIck Carter (Avatar)and their band of geniuses was one of the most amazing and inspiring experiences I have had as an artist and fan. 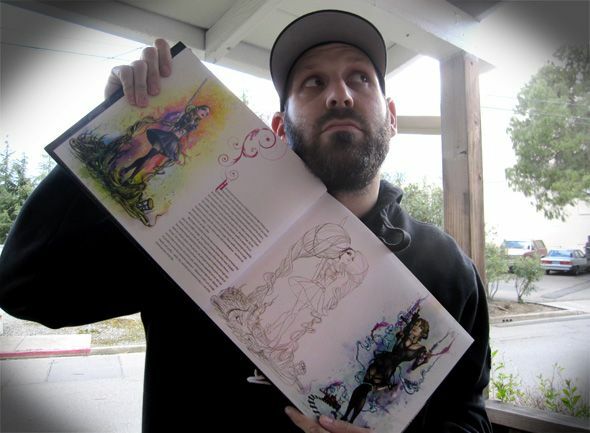 With the movie opening in a few weeks, you can get a sneak peek all of the behind the scene antics and magic of the film in a new book from TITAN BOOKS showcasing the "Art Of Sucker Punch", which contains a TON of gorgeous concept art, sketches, screen shots, promo art and some stunning photography and portraits from Clay Enos of "Watchmen:The Portraits" fame! 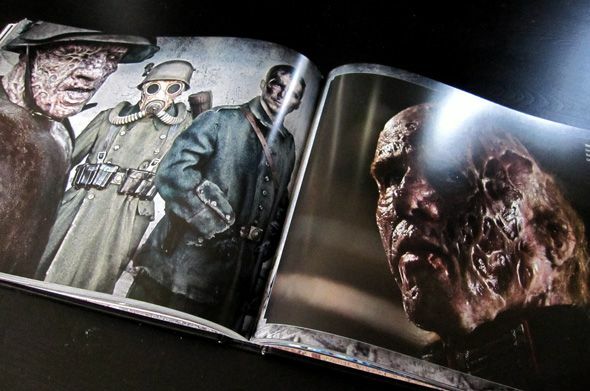 And, there are a nice chunky handful of pages of some of the aspects of the film that I worked on! BUY THE LIMITED SIGNED EDITION HERE FROM AMAZON & TITAN BOOKS! BUY THE REGULAR EDITION HERE FROM AMAZON & TITAN BOOKS! Thank you in advance and I hope you love the movie! And one of the best moments of my life, driving through LA by myself and seeing this on the side of the road. So surreal. Dang. I love this.